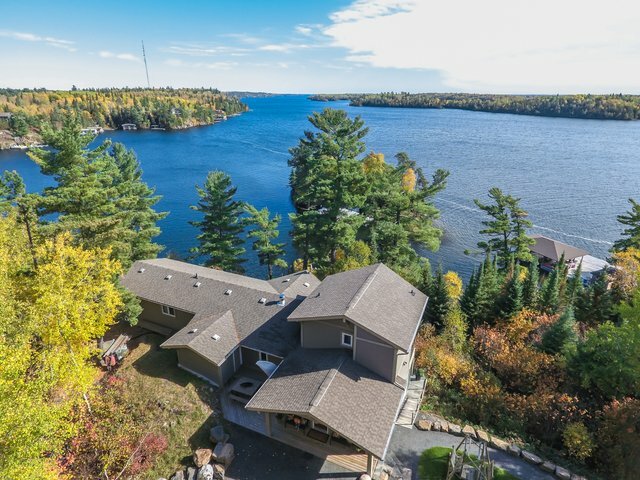 Exquisite lake front home on Clearwater Bay focused on attention to detail and fully developed for your enjoyment. Triple car garage, large boat port, and landscaping that blends with the environment! This 2600 sq. ft home has 4 bedrooms and 3 bathrooms. The master bedroom is positioned on the second floor and has a stunning view of Clearwater Bay. The ensuite features a jet tub that shares this same view. The living room features a double side fireplace and a corner wet bar for those that want to entertain and take in the warmth of a traditional fireplace. The bedroom wing has 3 bedrooms with a 4-piece bathroom that features double sinks. The kitchen is very warm with pine floors and cabinets and tastefully finished with Granite counter tops. The lower level is a perfect TV room for watching sports or a movie...you will see some custom features in this room. Also, on the lower level is a beautiful sunroom for those that want to escape away for some quiet time. Too many mechanical features to list but the main heating and cooling system is Geothermal. This system also provides hot water assist and provides radiant heat to the basement and front entry. A fully balanced heat recovery ventilation (HRV) system and 400 amp service is also provided with backup 10 Kw Generator (located in Garage). The 36 X 36 Triple car garage is impressive for it functionality but also for its ascetic appearance as you arrive to this property. The main heat source is radiant in floor heat provided with an electric boiler. The space above the garage is 720 sq ft with 2 offices and 2 bonus rooms...a great option is to make one of these rooms into a work out room! This garage is detailed from top to bottom and you could eat off the solid pine work bench...literally. Down at the water’s edge there is a large dock with 3 covered slips and 1 boat lift. Also, an additional slip on the outside and a floating dock. The 'pride' feature down at the dock is the cedar outdoor kitchen area with a bar fridge. All these improvements have been designed with low maintenance in mind. The property is landscaped to blend with the terrain and to provide a real outdoor experience for everyone. 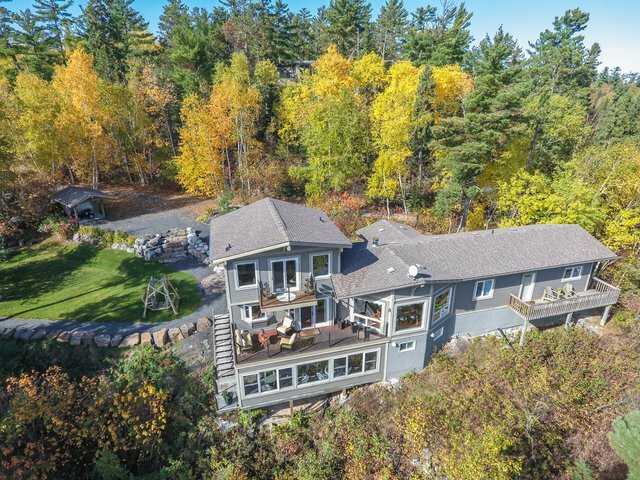 Privacy and seclusion really highlight this 1.3 acre property in the heart of Clearwater Bay! Don't hesitate to look at this one in the winter months...You will have a new appreciation for the season.